The Road to Concord Goes Through Washington, D.C.
As Boston 1775 has grown to contain so many stories and articles, it’s become harder to find postings about particular topics simply by glancing around the front page. So here are some tips for more efficient searching. Instructions for that task are complicated by how Blogger websites can appear differently on small mobile devices, and sometimes in different browser programs. So these tips are based on the standard desktop version of the site. 1) Use your browser program’s function for finding text on the current webpage (usually “Find”) to search for the name of a person, place, battle or other event, or for a broad topic like “riots” or “animals.” If I’ve used that name or phrase as a label on Boston 1775, your browser will highlight that label in the column on the right side of the page. Then you can see how many postings I’ve tagged with that label—a number that might seem manageable or daunting. 2) At the upper left of the screen, next to Blogger’s trademark orange B, is the service’s own search box. Enter a word or phrase there, and the service will search Boston 1775 for any posting with that text. Put quotation marks around a phrase if you want to narrow down the search. The top results will be posts with the text in their titles, followed by posts with the words in their interiors. 3) Go to Google (Blogger’s parent company) and use its search function. 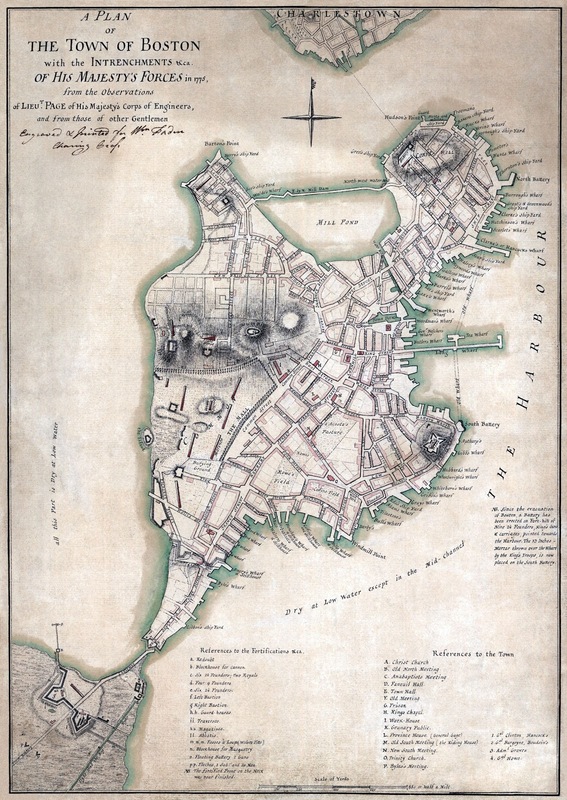 Type “site:boston1775.blogspot.com” and the words you want to search for to restrict the results to Boston 1775 postings. This method could be especially useful if you’re seeking a particular quotation (put a distinctive phrase in quotation marks) or you want to narrow down the many Boston 1775 posts on, say, John Adams to only those about John Adams and pudding. (Avoid searching for phrases that are already labels in the right-hand column; since they appear on every blog page, that won’t narrow down anything.) Due to how Blogger/Google archives blogs, the results take two forms: links to specific postings or links to months in which those postings appear. 4) If you end up with a Boston 1775 page that contains many postings, go back to your browser program’s command for finding text on the current webpage (“Find”). Use that to quickly move through the postings to what you want. Be aware that eighteenth-century spelling was very variable, even for proper names. Transcriptions can also vary, and nineteenth-century books often cleaned up the spelling and grammar of a Revolutionary text. I try to quote sources exactly, strange spellings and all, which affects what text a search will find. Also, people often shared the same names, so postings labeled with, say, “Josiah Quincy” might refer to multiple separate people. Finally, I hope you have enough time to enjoy the search and check out cross-references. I think of Revolutionary New England as a vast network of relationships. It’s usually eye-opening to follow threads branching off from my initial topic to see who and what else is connected.